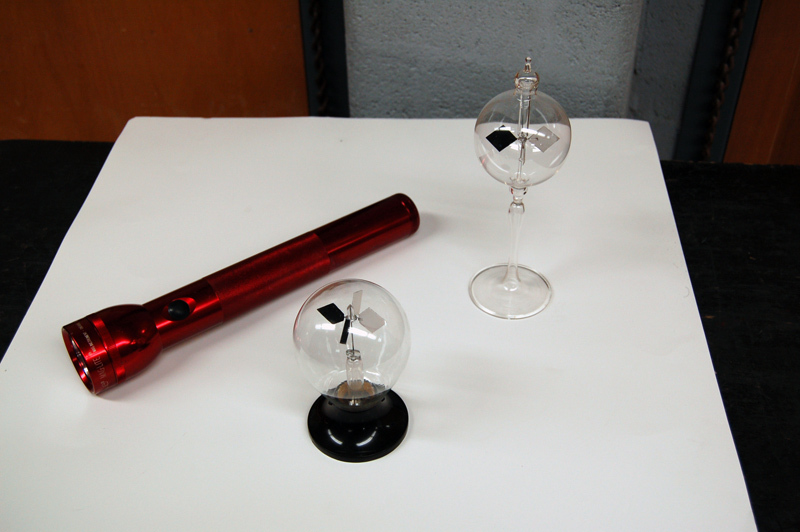 Description: This is a small radiometer. Note that the vanes arn't moving. Turn on the flashlight and aim it at the Radiometer. Notice that the vanes start to spin. Note the direction that they spin in.